Gaby assists our agency clients with all property and casualty service requests. Licensed in auto and home insurance, she is knowledgeable about our agency product offerings and is happy to provide our clients with quality service. Gaby serves as our agency specialist in the area of flood insurance. 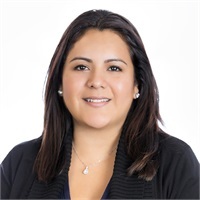 Fully bilingual in Spanish, she is a valued team member and adds positive, high energy in her position with our agency.